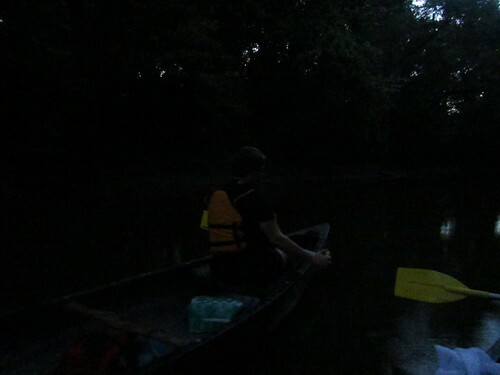 There’s nothing quite like a long day working on the bayous, and then you go back out for a moonlight paddle. With a bit of rain earlier in the week, it looked like I would finally have another day with enough water to float the whole way down Bayou Fountain. I’ve been making it all the way each trip, but it’s been so low that last time I had to actually step out once on the way back up to the park. There may not have been too much water out there, but when I arrived at the park and saw the chain gauge showing “only” 5-1/2 feet of clearance, it seemed likely that it was going to be a good day. Over Labor Day Weekend, I took my Hobie Mirage Outback kayak out on the Grand Tour: 109-mile solo kayaking miles over three days, hitting all eight islands off Mississippi: Round Island, Petit Bois Island, Sand Island, Horn Island, East Ship Island, West Ship Island, Cat Island, and Deer Island. It was some trip, and it made for only the second time I’ve missed a weekend on the bayou all year. Having skipped a week, I wasn’t quite sure how much things would’ve shifted around. The water hadn’t been very high, so I didn’t expect major work, but it had been high enough that some things were certain to have floated around. Fortunately, there was indeed enough water not to drag on the bottom, and I was *mostly* recovered from my Grand Tour. Having water again was wonderful, and there was much less work to be done that I’d expected. 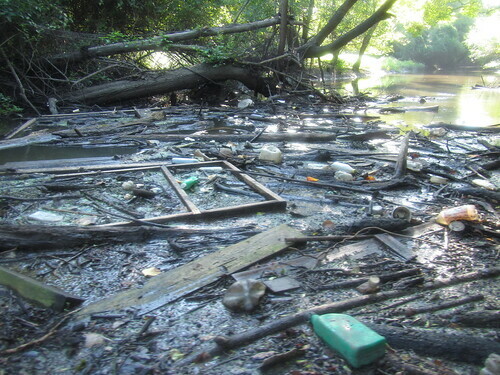 There was only one single spot where some very long logs had managed to make a small jam and catch a bit of flotsam. It was enough that it’d be slightly annoying to get over in a canoe, but it wasn’t enough to stop you. It also wasn’t enough to hold me up too long. Just a bit of judicious sawing (less than normal, as I wasn’t quite 100% from the previous week’s Grand Tour), and everything was clear. I did a bit of log herding for a while, but nothing of consequence showed up. After making it to Bayou Manchac so quickly and easily, I decided to do some scouting for the evening’s moonlight paddle. 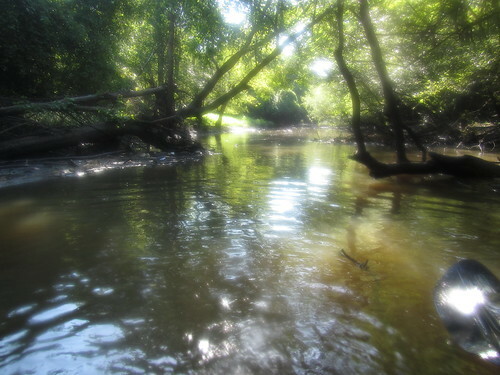 We were launching from Alligator Bayou on Bayou Manchac and paddling down to the east end of Camp Drive in Prairieville, and it’s always more pleasant if nobody gets too stuck on a log. 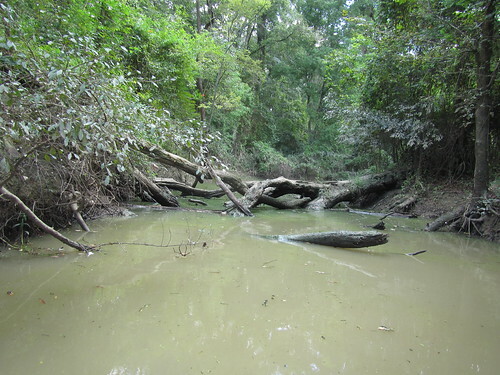 There was one rather expansive catch right at the downstream edge of the confluence with Bayou Fountain, but it broke up and floated away with only the usual amount of effort. 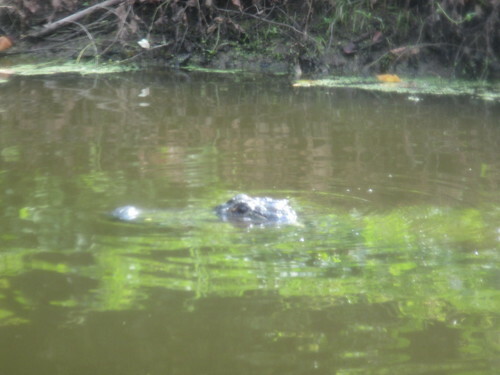 No other significant problem areas were apparent, and I got a nice photo of an alligator right near the Alligator Bayou end of Bayou Manchac. I quickly made my way back to the park and headed home to swap boats and load up more gear for the moonlight paddle. I had just enough time to relax and rehydrate while grabbing a bite to eat, and then it was back out to Bayou Manchac at Alligator Bayou, where we were set to park, pay, and paddle away. The moonlight paddles are generally set for a couple days before the full moon (so the moon has a chance to be higher in the sky by the time the sun’s setting), but this time the clouds kept things rather dark for the first mile or two. Eventually, the clouds thinned and the moon shone brightly as we continued along. I’m happy to report that yet once again everyone made it to the end safely. (Okay, so we always do, but it’s still a good thing, right?) We only had one damp kayaker (from the very beginning) out of a total of three people in kayaks and eight more in canoes. It was quite a nice trip, and much different in feel than the juvenile-alligator-infested (hehe) paddle to Spanish Lake last month. Hopefully we can get some more paddle access points spread around so we can keep up the variety, but frankly, any moonlight paddle is excellent. 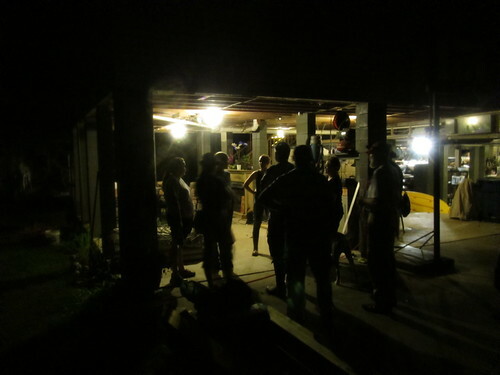 It was an early start to work Bayou Fountain and scout Bayou Manchac, and with the moonlight paddle, the day didn’t end until quite late. Still, it was a wonderful multiple-paddle day, and it really was rather relaxing compared to the sunrise-to-sunset very long days of my Gulf Islands Grand Tour of the previous week. 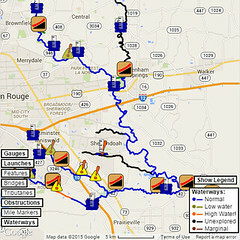 Here’s hoping that we’ll start to get back to having a bit more rain to keep the bayous just slightly higher, and with luck our access options will start trending up again. In the meantime, I’ll be back out on the bayous next weekend. It should be a blast.